Today is the last day to take advantage of some of Milani's LE July 2011 products (includes polish, eye shadow, and lip glosses) and these are also available on line if you haven't been able to locate them near you. 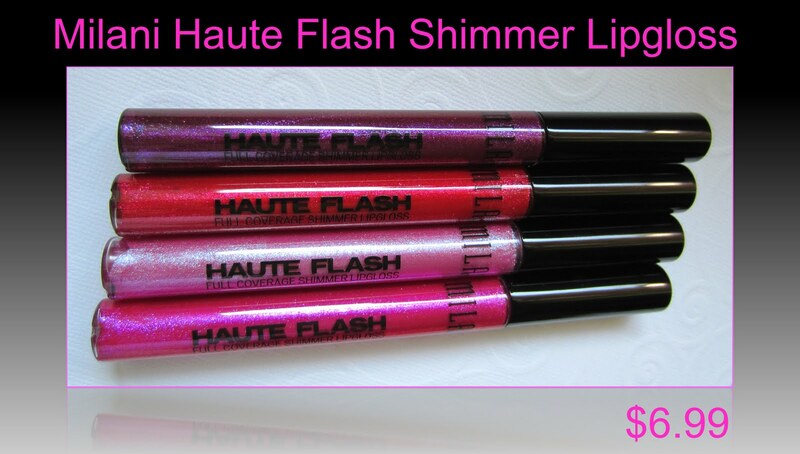 There are four shades available in the Haute Flash Full Cover Shimmer Lipgloss LE Collection, and they retail for $6.99 each (0.18 oz.). In A Flash - deep purple with multi-colored micro glitter that reminds me in color, of Massini/Studio M Purple Medallion! Hot Flash - bright fire engine red shade with hot pink micro glitter. Star Flash - baby pink with pale violet and blue micro glitter. Flashy - rich magenta with pale violet and pink micro glitter. The overall tube measures 5.25" and the applicator is a doe-foot style. The formula on the Haute Flash glosses is definitely on the thick side, which allows them to wear longer than most glosses. I was concerned that they may be drying with the amount of glitter in them, but I found them to wear very nicely with no drying at all. 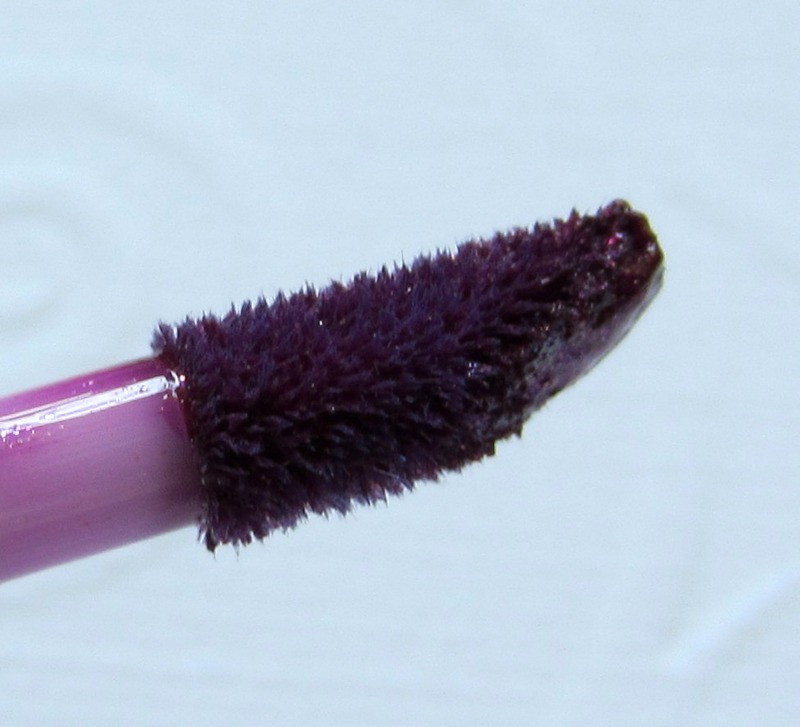 These are highly pigmented and maintain their color longer than many of my other glosses. I'm loving all four of these shades! They're sparkly and colorful, they wear well and feel smooth on my lips, and even though the glitter is quite plentiful throughout these, I don't feel like my lips are too glitter-fied. All four of these shades seem to work with my skin tone and they are shades that are going to work for me during every season. Were you able to find these in your area? Did you pick any up if you were? On a side note, after my computer died and I got my new one up and running, my camera decided it too had had enough! That was the reason for my absence this past week. After doing some research, I replaced my old Canon with another Canon (Powershot Elph 300 HS), so I'm in the process of learning how that one works. The pictures in this post are my first using the new camera, so hopefully I'll be able to improve upon them in the near future. 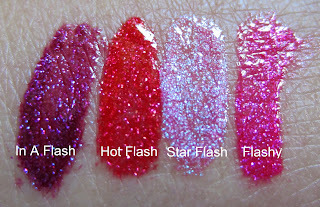 I'm hoping I'll be able to track down some of these glosses. They look amazing! Good luck with your new camera! I have the same problem. My local stores stock very few LE items from any company. It drives me crazy! 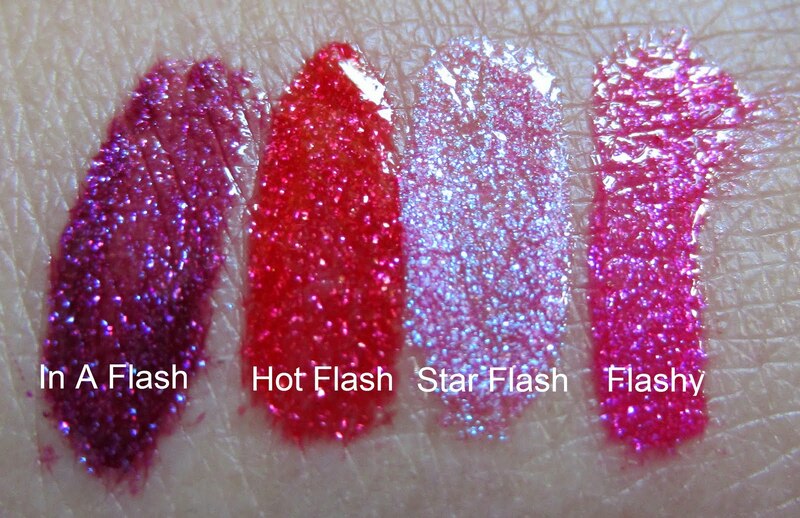 Hot flash and flashy look awesome! I hope I can find these. Had no luck so far. They are gorgeous looking. So sorry your camera died. I haven't found these anywhere! And, boy, was I looking. I hope I can still find these! Are these exclusive to CVS? I thought I read those on another blog. *drools* All 4 look absolutely stunning. They remind me of the MAC Dare to Wear lipglasses (though I dont own any of those).